NOW FEATURING OUR ADVENTURE TRAVEL SERIES! We've partnered with local vendors to provide you a seamless adventure travel experience. These offers are only available through our on-site Adventure Specialists - contact them now to create your customized trip, whether it's white water rafting and fly fishing or ziplining and Jeep touring and so much more! We will respond within 48 hours with answers to your inquiries. In our open-air Jeeps, your photo opportunities are unobstructed. Experience the true majesty of Colorado! Our most popular Jeep tour takes you along the foothills of Pikes Peak and and through Garden of the Gods. See all of America’s mountain! Offered in the morning to take advantage of the best views and weather, this journey takes you to the summit of Pikes Peak. The heart of Colorado Adventure, exploring the history of the region! Our Forest Service permits allow us to go off-road, cross streams, and explore the tunnels and townsites of the Old West. Includes weather necessities. All activities are subject to weather modification. Our most popular Jeep tour, this historic sight-seeing adventure is a great way to enjoy the Pikes Peak region! Our entertaining and informative cowboy guides take you through time along the foothills of Pikes Peak, highlighting scenery and some of Colorado Springs’ most famous historical sights. Attractions include North Cheyenne Canyon, Helen Hunt Falls, the Shortline Railroad and its 100-year-old tunnels, Old Colorado City, Manitou Springs, and the spectacular red rock park Garden of the Gods. In our open-air Jeeps, your photo opportunities are unobstructed. This tour is about 70% on paved roads and 30% on dirt and is a great overview of the area. See all of America’s mountain. Offered in the morning to make the most of our time and take advantage of the best views and weather, this unique tour starts with an incredible journey to the summit of Pikes Peak. Your cowboy Jeep guide will make you feel right at ease – we’ll handle the driving, while you enjoy the scenery. Your guide will inform and entertain you throughout our excursion to the summit, where we will stop and soak in the extraordinary view that inspired Katharine Lee Bates to write "America The Beautiful." After spending some quality time at the top, we’ll climb back into our exciting open-air Jeep and descend via the famous Pikes Peak Highway. Nineteen miles of this historic Rocky Mountain road brings you back to Colorado Springs. Our High Country Jeep Tour is the heart of Colorado Adventure! Enjoy the rugged beauty of the Colorado Rockies and take all the “calendar shot” photos you desire, on this extraordinary 4x4 Jeep tour on the back roads high above Colorado Springs. Since 1890, explorers have traversed the Pikes Peak region in search of gold and a better life. Your tour follows the historic Short Line Railroad bed that President Teddy Roosevelt once embarked upon proclaiming, “The scenery bankrupted the English language.” Our Forest Service permits allow us to go off-road, cross streams, and explore the tunnels and townsites of the Old West. Your entertaining cowboy Jeep guide will inform you about the rich history along the way and point out any wild turkeys, elk, moose, deer, cougars, bears, and alpine flowers that are sighted on the journey. Relax, take in the clean mountain air, and enjoy the splendor of the Rocky Mountains! Includes weather necessities, such as wool blankets and ponchos, bottled water, trail snacks, and the best cowboy Jeep guides in The West. All activities are subject to weather modification. Bighorn Sheep Canyon - Family Friendly! Family Friendly - Great for First Timers and Experienced! Launching beneath the dramatic Cotopaxi cliffs, you'll start on easy water before running exciting Class II-III rapids. After a delicious buffet lunch, you'll plunge into more demanding and technical Class III rapids. For rafters on a tight schedule, you can launch a 1/2 day trip in the morning or the afternoon on 10 miles of the best whitewater in Bighorn Sheep Canyon. Adventurous paddlers wanting to paddle your own duckie or inflatable kayak will challenge the Class II-III whitewater rapids. This trip launches beneath the dramatic Cotopaxi cliffs at our convenient riverside base. We begin the trip in easy water to give us time to form a competent paddle crew (or passengers in an oar boat.) Floating past spectacular geological formations and views of the Sangre de Cristo mountain range we run exciting Class II-III rapids like Texas Creek, Maytag, and Devil’s Hole. After a delicious buffet lunch, we plunge into more demanding and technical rapids (Class III): Prelude, 3 Rocks Falls, Spikebuck and Shark’s Tooth to name a few. This trip is suitable for first timers or experienced rafters with great views and lots of adventure. Sightings of bighorn sheep are very common in this section. The full day trip is the best value and most rewarding river experience with a trip time of 5 to 6 hours on the water. Don’t miss out on the best rafting Colorado has to offer! We launch our 1/2 day trip in the morning and in the afternoon for rafters on a tight schedule wanting a shorter river experience. This trip is 10 miles of the best whitewater in Bighorn Sheep Canyon starting with Prelude and 3 Rocks Falls within the first mile. Bighorn Sheep Canyon rafting is the perfect classic trip for families, groups, or individuals looking to experience whitewater rafting in Colorado for the first time or tenth time. Great views and adventure! Adventurous paddlers wanting to paddle your own duckie or inflatable kayak will challenge the Class II-III whitewater rapids of Bighorn Sheep Canyon. These trips are available for participants 13 years old and up who are in good physical shape and able to swim. All whitewater trips are led by our guide/instructors who are skilled in teaching river running skills. You may stop and scout rapids to learn about river hydrology and navigation through rapids. This is the ultimate river experience, just you, your boat and the river! Take your river experience to a whole new level. Royal Gorge - High Adventure! Recommended for rafters or adventurers in good physical shape who are ready for aggressive paddling. Ability to swim is REQUIRED. Huge waves, steep technical drops, and almost continuous whitewater rapids in a narrow canyon await you. Lunch will be served at a stop on the river. Experience the ultimate rafting adventure on the Royal Gorge for a half-day trip. Twice the adventure! Combine running the 10 mile Royal Gorge section twice with lunch for the most action possible on the Arkansas River. Royal Gorge whitewater rafting is the ultimate full day rafting adventure trip in Colorado. Huge waves, steep technical drops, and almost continuous whitewater rapids in a narrow canyon await you with rapids like Sledgehammer, Wallslammer, the Narrows, Boateater and the infamous Sunshine Falls. The Royal Gorge may demand so much attention you don’t even notice the world famous Royal Gorge Bridge 1053′ above the river. This exhilarating trip is recommended for rafters or adventurers in good physical shape who are ready for aggressive paddling. Our Royal Gorge whitewater rafting trips are our most popular advanced trips! If you are seeking lots of excitement, this trip is for you and your group. Lunch will be served at a stop on the river. Royal Gorge whitewater rafting is the half-day ultimate rafting adventure trip in Colorado. Huge waves, steep technical drops, and almost continuous whitewater rapids in a narrow canyon await you with rapids like Sledgehammer, Wallslammer, the Narrows, Boateater and the infamous Sunshine Falls. The Royal Gorge may demand so much attention you don’t even notice the world famous Royal Gorge Bridge 1053′ above the river. This exhilarating trip is recommended for rafters or adventurers in good physical shape who are ready for aggressive paddling. Our Royal Gorge whitewater rafting trips are our most popular advanced trips! Twice the adventure! Combine running the 10 mile Royal Gorge section twice with lunch for the most action possible on the Arkansas River. This trip is for experienced rafters or adventure athletes with plenty of stamina wanting the ultimate whitewater experience. Be able to go home and tell your friends you did the Royal Gorge Grand Slam! A scenic family float trip with some mild rapids - great for seniors and families with young kids. Raft through fun Class III rapids near Buena Vista and Salida. Lunch is served during the trip riverside. Come raft the newly declared National Monument with great views and excitement! The float starts in Coaldale and runs to our riverside base in Cotopaxi while enjoying scenic views of the Sangre de Cristo Range. This itinerary is the best trip for rafting in Colorado on the Arkansas River for seniors and families with young kids. This exciting full day trip near Buena Vista and Salida combines splendid whitewater rafting with spectacular views of the Sawatch Range containing some of Colorado’s highest peaks. We raft through fun Class III rapids such as Pinball, Zoom Flume, the Staircase and the infamous Seidel’s Suckhole. This scenic canyon parallels the Brown’s Canyon Wilderness Study Area. We offer this popular whitewater rafting trip as a full day for groups of 6 or more and also as the first day of a multi-day Arkansas River overnight trip. Trip lasts about 5-6 hours on the water. Lunch is served during the trip riverside. Come raft the newly declared National Monument with great views and excitement! Great trip for families, groups and adventure seekers of all levels. 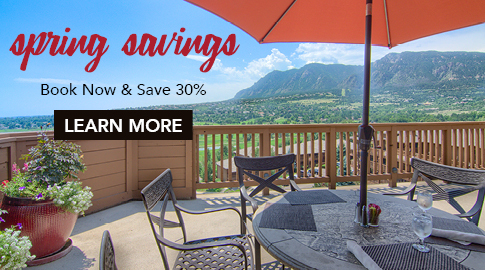 Cut out the hassle and skip the lines- purchase your admission to the Cheyenne Mountain Zoo with us! America's only mountain zoo and the 4th Best Zoo in North America according to USAToday's 10Best. Discover exhibits of more than 30 endangered species and soar over breathtaking views on the Mountaineer Sky Ride! Open 365 days a year from 9am to 5pm. Last Admission is at 4pm (Not all animals will be out on exhibit until 5pm). Tickets are NOT valid for holidays and special events, with the exception of Memorial Day, Independence Day, and Labor Day. Pricing is based on the time of the year and day of the week. Military discounts are available ONLY through the Cheyenne Mountain Zoo at the ticket booth - valid military ID required. 75¢ of every Zoo admission goes directly to Quarters for Conservation to directly fund new and existing wildlife conservation programs in the region and around the globe. Transportation is not included; guests must arrange their own transportation. Please note, road construction is scheduled through April 19, Monday - Friday, as part of a project to widen the road. Temporary closures are possible due to permanent repairs addressing the catastrophic hail storm of 2018. For the most up-to-date information, visit cmzoo.org. Spend a full day, with lunch riverside, working the busy pocket water and casting until your arm falls off! 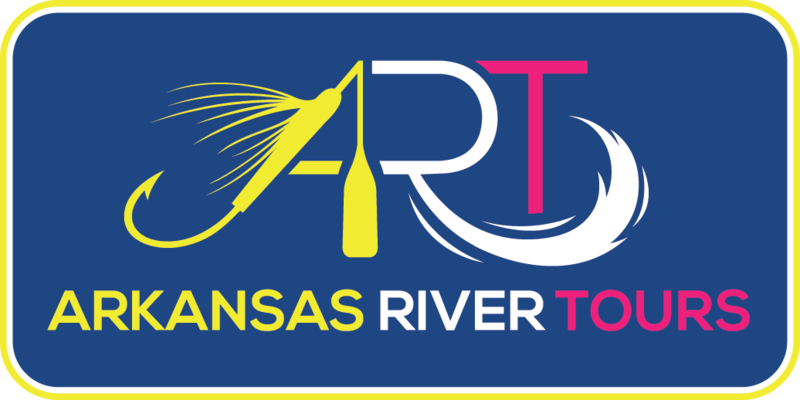 Enjoy the excitement of the rapids and fishing in the gold medal Arkansas River! Your trip will be fast paced with non-stop casting and non-stop action! The half day float trip will test your casting ability but is typically the perfect duration for most anglers. We launch late afternoon, time depends on water levels and time of the year. Enjoy the gold medal Arkansas River with our special after hours permit so you won’t be fishing when everyone else is rafting. This is a magical time of the day in this canyon! A Half Day Float on the Arkansas is the quick ride to a lot of action! On the Arkansas River, your guide will be a combination of a fly fishing guide and a whitewater master. A Fly Fishing float trip on the Arkansas is very fast paced; it will be non-stop casting and non-stop action from the time you step in the boat! The half day float trip will test your casting ability; however, it is typically the perfect duration for most anglers. We operate Morning, Afternoon, and Evening launches specific to season (inquire for more details). Our custom-built 4x4 and cowboy guide will pick you up from the resort and provide the most scenic and entertaining route to the Zipline course, featuring marvels such as North Cheyenne Canyon, Helen Hunt Falls, the Shortline Railroad, Old Colorado City, Manitou Springs, and Garden of the Gods. AOW's beautiful, natural-terrain course features five ziplines, varying in length from 225 feet to 650 feet, that are fully licensed, insured, and inspected. Due to safety restrictions, guests must be at least 6 years of age and weigh between 40 - 300 lbs. No pregnant guests. Guests who do not meet this requirement will not be allowed on the Zipline. Experience the best adrenaline rush in the Pikes Peak region, and an exciting Jeep excursion along the Front Range of the Rockies, all in one unique adventure! Our custom-built 4x4 and cowboy guide will pick you up from your hotel, and provide the most scenic and entertaining route, featuring marvels such as North Cheyenne Canyon, Helen Hunt Falls, the Shortline Railroad, Old Colorado City, Manitou Springs, and Garden of the Gods. Anticipation builds as we arrive at our natural-terrain Zipline course perched atop Gregory Gulch, high above historic Manitou Springs. Our beautiful, natural-terrain course features five ziplines, varying in length from 225 feet to 650 feet. AOW’s ziplines are fully licensed, insured, and inspected. Our course is a rustic cliff to cliff style, with no towers to climb, and includes a couple of short nature hikes between lines. You will indulge in the rush and the spectacular vistas while ziplining over this stunning alpine canyon. We are pleased to provide our guests with the ability to safely complete freestyle moves as they are zipping across! After 1.5 to 2 hours of Ziplining joy, we will hop back in the Jeeps for a scenic return to the resort. Combine a ½ day raft trip down the Bighorn Sheep Canyon, a riverside steak lunch, and then a 2 hour zipline course down 7 cables up to 700ft long and 200ft long. Combine a ½ day raft trip down the Bighorn Sheep Canyon, a riverside steak lunch, and then a 2 hour zipline course down 7 cables up to 700ft long and 200ft long. After lunch customers will need to drive 20 mins to Captain Zipline. Return travel time is just under 2 hours. Combine a ½ day raft trip down the Bighorn Sheep Canyon, a riverside steak lunch and then a 2 aerial ropes course with 9 different difficulty levels. Combine a ½ day raft trip down the Bighorn Sheep Canyon, a riverside steak lunch and then a 2 aerial ropes course with 9 different difficulty levels. After lunch customers will need to drive 20 mins to Captain Zipline. Return travel time is just under 2 hours. Take in the splendor of historic Old Stage Road from an open-air Jeep before enjoying a fantastic one-hour guided mountain horseback ride through Pike National Forest. Due to safety restrictions, riders must be at least 8 years old, and the maximum weight of a rider is 220 lbs. Take in the splendor of historic Old Stage Road from an open-air Jeep! Our cowboy guide will take you on a scenic journey to the Old Stage Riding Stables for a fantastic one-hour guided mountain horseback ride. You will feel like an early explorer, as your horse carries you through the rugged grandeur of the Pike National Forest. Relax and take in the stunning alpine overlooks and breathe in the fresh Rocky Mountain air. You may even view buffalo and elk! Following the horseback ride, our Jeep guide will enlighten you with tales of the Old West as we return to town. Our most popular combo packages! Combine a ½ day raft trip down the Bighorn Sheep Canyon, riverside steak lunch, and then 2-3 hour train ride through the Royal Gorge. Combine a 1/4 day raft trip down the Cottonwood Canyon, riverside steak lunch, and then 2-3 hour train ride through the Royal Gorge. Combine a ½ day raft trip down the Bighorn Sheep Canyon, riverside steak lunch, and then 2-3 hour train ride through the Royal Gorge. Once you finish lunch, you will drive yourselves to the Royal Gorge Railroad Station (0.5hr) to catch the train. You will usually have extra time and can go checkout downtown Canon City prior to boarding. Combine a 1/4 day raft trip down the Cottonwood Canyon, riverside steak lunch, and then 2-3 hour train ride through the Royal Gorge. Once you finish lunch, you will drive yourselves to the Royal Gorge Railroad Station (.5hr) to catch the train. You will usually have extra time and can go checkout downtown Canon City. Combine a ½ day raft trip down the Bighorn Sheep Canyon, riverside steak lunch, and a ticket to the historic Royal Gorge Bridge and Park. Combine a 1/4 day raft trip down the Cottonwood Canyon, riverside steak lunch, and a ticket to the historic Royal Gorge Bridge and Park. Combine a ½ day Bighorn Sheep Canyon whitewater rafting trip, a riverside steak lunch, and a ticket to the historic Royal Gorge Bridge and Park. After lunch customers will need to drive to the Royal Gorge Bridge Park (30min travel time). Return travel time 1hr. Combine a 1/4 day raft trip down the Cottonwood Canyon, riverside steak lunch, and and a ticket to the historic Royal Gorge Bridge and Park. After lunch customers will need to drive to the Royal Gorge Bridge Park (30min travel time). Return travel time 1hr. Take in the Rocky Mountain Front Range at sunrise. Enjoy spectacular views for 100 miles in all directions and take a moment to relax and relish in this unforgettable soaring experience! Includes personalized flight certificates, champagne breakfast following the flight, and the best pilot and crew in The West. All activities are subject to weather modification. Due to safety restrictions, guests must be at least 6 years of age. No pregnant guests. Guests who do not meet this requirement will not be allowed on the balloon. Alpenglow is a breath-taking sight from our hot air balloons as we fly serenely in the wake of the Rocky Mountain Front Range at sunrise. From the Spanish Peaks to Longs Peak, this is where the deer and the antelope play. Each hour-long flight is a journey guided by the winds and the skill of your pilot. Enjoy spectacular views for 100 miles in all directions and take a moment to relax and relish in this unforgettable soaring experience! Experience one of nature's greatest treasures: Garden of the Gods! This tour includes sights such as South and North Gateway Rocks, Kissing Camels, Three Graces, Sleeping Giant, Park Overlook, and Praying Hands. Unobscured views and a mellow pace will ensure your visit to this beautiful red rock park is memorable. Includes Cone Zone training session before heading out on the tour, and the best Segway guides in The West. All activities are subject to weather modification. Due to safety restrictions, guests must be at least 12 years of age and weigh between 90 - 260 lbs. No pregnant guests. Guests who do not meet this requirement will not be allowed to participate. A great way to experience one of nature's greatest treasures: Garden of the Gods! This tour includes sights such as South and North Gateway Rocks, Kissing Camels, Three Graces, Sleeping Giant, Park Overlook, and Praying Hands. Unobscured views and a mellow pace will ensure your visit to this beautiful red rock park is memorable. Your guide will point out exotic plant life, red-tailed hawks, eagles' nests, mule deer, bighorn sheep, and of course, numerous spectacular geologic formations and the unique caricatures hidden within them. We make several short stops, but generally stay on the Segways throughout the tour. You will learn about the geology, cultural history of the park, and the most famous tall tales and true stories of the Old West and Colorado Springs! Includes Cone Zone training session before heading out on the tour, and the best Segway guides in The West. All activities are subject to weather modification. Enjoy a morning rafting trip down the Arkansas River, then drive to Play Dirty ATV Tours for 2 hours of mountain trail riding on an ATV or Side by Side vehicle. Experience breathtaking views of the Sangre De Cristo Mountain range, ride up trails and switchbacks up to 8,300 feet above sea level and see peaks like Columbia, Humboldt that are 14,000 feet high! Plan on getting dirty and having a lot of fun. If you choose a rafting trip from our Cotopaxi location you will have the option to stay for a hearty BBQ steak, chicken, or vegetarian lunch at our private riverside picnic area (Additional fees apply). Enjoy a morning rafting trip down the Arkansas River, then drive to Play Dirty ATV Tours for mountain trail riding on an ATV or Side by Side vehicle. Experience breathtaking views of the Sangre De Cristo Mountain range, ride up trails and switchbacks up to 8,300 feet above sea level and see peaks like Columbia, Humboldt that are 14,000 feet high! Plan on getting dirty and having a lot of fun. Garden of the Gods Park - #1 rated park in Colorado Springs by TripAdvisor with paved and gravel trails through magnificent red rock formations. Free admission & handicap accessible. Local's Tip: This park can get busy, especially during the summer months. Get up early if you want to enjoy the park without the crowds. Besides, a sunrise viewed from Garden of the Gods Park is simply breathtaking. Cheyenne Mountain State Park – Located 4 miles south of the resort on 2,700 acres, it has over 20 miles of hiking and biking, on-site restrooms, picnics areas, and a playground. Entrance fee; dogs not allowed on trails. Local's Tip: The Sundance Trail is an easy 3.25 mile loop that leaves from the Limekiln Trailhead Parking Lot, which has parking, restrooms, picnic tables and a playground. North Cheyenne Canyon – Located 4 miles west of the resort with a variety of trails – popular among road and mountain bikers and features Helen Hunt Falls. Free admission. To see the waterfalls, take the Silver Cascade Trail which offers a short hike through the forest and follows a stream. To catch a glimpse of Seven Falls, take the Cutler Trail. To walk through the old mining tunnels, hike down the dirt road at the top of the Canyon - Gold Camp Road. Manitou Incline Trail – The ultimate workout with a 2,000 ft. vertical gain in less than 1 mile. Free Admission, but parking close to the trailhead can be pricey. Park in one of the free parking lots outside of downtown Manitou Springs and then take their free shuttle up to the trailhead. For those who want a more mellow descent, take the 4 mile long Barr Trail back down to the bottom - it'll drop you off in the same place that you started. The Barr Trail is not well marked at the top of the Incline, so just ask one of the locals where it starts. Bear Creek Regional Park – 575 acres, including a garden, pavilion, playground, tennis courts, archery range, horseshoe pit, volleyball court, miles of gravel hiking trails, and one of the state’s best dog parks. Local's Tip: The entrance to Bear Creek's 25-acre off-leash dog park is located off of Cresta Road. This dog park provides great amenities such as a creek, a small-dog fenced area, agility course, and restrooms. The Barr Trail – 7,900 ft. of vertical gain over 12-miles, from Manitou Springs to the 14,115 ft. summit of Pikes Peak. The whole trail is really only accessible during the summer months, when most of the snow has melted at the top. Even though it may be warm at the base, bring layers! The summit is often 20-30 degrees cooler than the bottom. As with summiting any mountain, you'll want to get an early start - thunderstorms start to roll in during the mid-afternoon and you'll want to be off the top of the mountain by then. Bring lots of water, plenty of calorie-dense foods, and know your limits. The Paint Mines Interpretive Park – 30 miles east of Colorado Springs, featuring chasms, spires, hoodoos, and sculpted walls carved out of brightly colored clay deposits – layers of snowy white, golden yellow, rose pink and purplish mauve. Native Americans used the deposits for paints and pottery, and settlers later mined the clay to make bricks. Local's Tip: Make sure you have good directions because you cannot see the park very well from the road - the rock formations are sunk down into the hillside out on the prairie. You can't even see the rock formations from the park's parking lot! The Vindicator Trail – 2 mile loop just outside of historic mining towns Cripple Creek and Victor, a 45-minute drive west of Colorado Springs. Local's Tip: Cripple Creek and its surrounding area make for an excellent day trip from Colorado Springs. This is one of the best places to view our golden aspen trees during the Fall season too! Red Rocks Open Space – Located just south of the Garden of the Gods across Highway 24, featuring a variety of trails along canyons and ridges of red rock with a great view of the city and Garden of the Gods. Many trails connect to other hiking areas, and there are 2 off-leash dog loops and a free-ride bike park. Local's Tip: The Quarry Pass Trail and Cordell Trail get you up onto the rocks and hillsides and offer some of the best views of the park. Go on and hop in the saddle: Winding trails and expansive roads provide dozens of possibilities to discover Colorado on your terms. Local's Tips: The Roundup Trail offers a variety of terrain and technical challenges as it traverses across the top of the park. The Cordell Trail takes you up onto the backbone of one of the ridges and offers great views of the city. Local's Tip: For a good workout (and one long downhill back to the car) park in Stratton Open Space, ride up The Chutes, up Gold Camp Road, then ride the short but steep High Drive up to the trailhead of Captain Jack's. You'll then be in for nothing but sweet downhill, all the way back to the car! Local's Tip: Although the main trails are well marked with posts, the park has many secondary trails that criss-cross everywhere and are not clearly identified. It's easy to get turned around, so either bring a map, or a local with you! Local's Tip: The trails near the bottom of the park (down in the valley) and on the North side are the easiest. Beginners should try Sundance, Bobcat Way or Soaring Kestral. More advanced riders will enjoy the climbs that the Talon trails offer. If you want to practice your technical skills, the rocky Boulder Run and Cougar's Shadow trails will give you plenty of practice. Local's Tip: The part of the Air Force Academy grounds that the Falcon Trail is located on is not always open to the public. If you do not have an active military ID, then it is recommended you call ahead to check the status of the trail and whether the public is currently allowed access. Best For: Experiencing A "Little Moab"
Local's Tip: Ute Valley Park's main parking lot off of Vindicator Drive gets full fast on the weekends. If there are no spaces when you arrive, parking is available in the elementary school lot right down the road (when school is out only). The Midland & Pikes Peak Greenway Trails – Wide, paved thoroughfares with virtually no climbing – great for families! Local's Tip: If you ride these trails all the way up to the North side of Colorado Springs, they will eventually become dirt roads, but they are still very rideable and well maintained. Local's Tip: Once you reach the top of Buckhorn, continue down the trail until it hits a dirt road. Directly across the dirt road is the trailhead to Captain Jack's Downhill - this offers some flowy and fast singletrack. If you want to reward yourself for all that climbing, take Captain Jack's down before heading back to the car! Pikes Peak Highway – 19 mile road with the greatest base-to-summit elevation gain in the state – 7,400 ft. Fully paved with more than 150 turns to the 14,115 ft. summit. Children under 18 must be escorted by parent or guardian. Admission fees apply – or use a Pikes Peak-America’s Mountain pass. Local's Tip: There is no parking near the tollgate so any cyclists planning to drive to the highway and then bike to the summit are encouraged to park at the Crystal Reservoir Visitors Center parking lot or above. The ride from Crystal Reservoir is shorter with significantly less elevation gain - 12.5 miles with 4,880 feet in elevation gain - and is a good option for cyclists who aren't quite sure if they can handle the full 19 mile route. Weather changes incredibly fast on the mountain, and often the summit is 20-30 degrees colder than the base. Bring layers, plenty of water and a good calorie source. Local's Tip: The two-lane road up the canyon can get very narrow in some spots and the shoulder is sometimes nonexistent. If you don't feel comfortable, then don't do it - however, locals are so accustomed to the plethora of road bikers (and mountain bikers) riding the road that they know to drive cautiously. Local's Tips: Need a quick pick-me-up during or after your ride? Stop in the small mining town of Victor and visit the Gold Camp Bakery off of 3rd street. This small family-run shop will satisfy any sweet tooth with authentic German pastries, cakes, cookies and breads along with good, freshly brewed coffee. Climb to the top of the world. Scale any of a multitude of rock formations, and get familiar with Colorado’s iconic red rock. Enjoy an authentic Western experience. Survey the countryside with your steed, just like the pioneers did hundreds of years ago.